Let's dive into the two most popular frameworks. Check out Flux along with React, the 'mvc' architecture that can be utilized with React. Flux provides an 'action/dispatch/store' model, where a component triggers an action, an event is dispatched, and data is updated in the store. Additionally a change in the store can trigger a change in the component. Flux is an optional part of React, but many people use it. Be on the lookout for Relay, Flux's replacement. Version 2.0 came up recently, introducing some re-architecture of the popular library. It received mixed reviews from the community, nevertheless, Angular continues to grow in popularity. Ember - Another popular MVC framework, it utilizes the popular Handlebars templating system. Knockout - Providing the lesser known, but still popular, MVVM framework, Knockout provides data binding, auto UI refresh, dependency tracking, and a custom templating system. jQuery - You can still write a very serviceable webapp using jQuery. However you will need something like Browserify, RequireJS or CommonJS to handle importing/exporting modules. Interesting how Vue.js already have passed React, and Angular is on its way down, today. 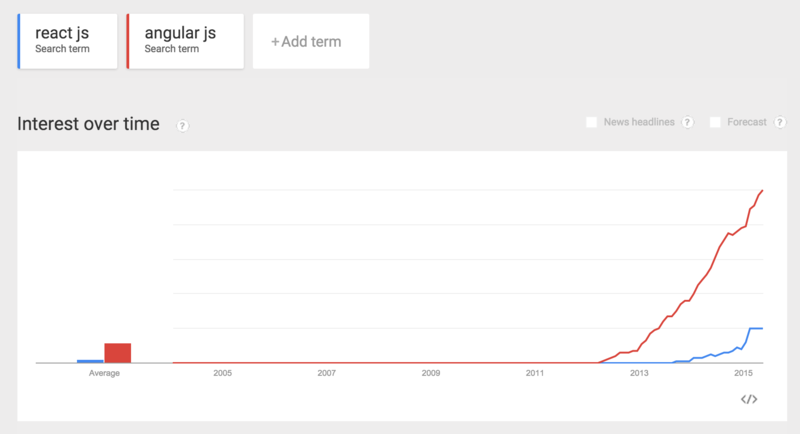 AngularJS is the best and currently trending in MNC's. In my company Verizon, all the projects are switching over to AngularJs. So lets start with a short but detailed <a href="http://www.credosystemz.com/training-in-chennai/best-angularjs-training-in-chennai/">AngularJS Training</a> tutorial where you will be able to quickly understand the power of AngularJS in the world of web. uh, DOJO Toolkit bud, dojo toolkit. Enough said.